I am an erstwhile chef and current Disney food aficionado. 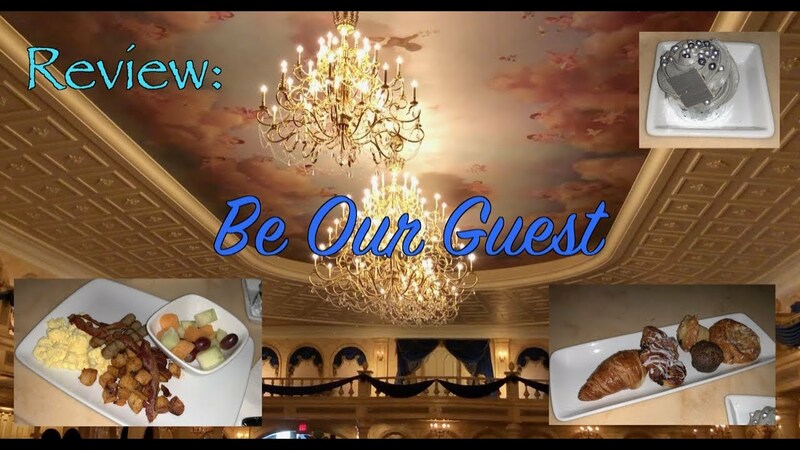 I hope that my back of the house knowledge comes through in my reviews, and helps you better plan your Disney dining experience. You can also find me on Instagram and Twitter @cheftodd55, or join my Facebook group Chef Todd Eats Disney. 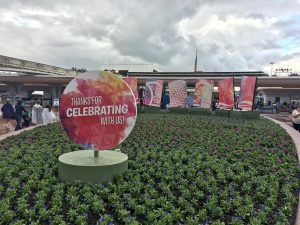 Opening weekend at the Epcot International Festival of the Arts was full of hits and misses from the new food studios. Most of the misses were not so much in the quality or flavor of the food, but in the overall delivery of the product. Service was very awkward and clumsy at most of the kitchens. While the concept of “food as art” is wildly appealing, the actual delivery of food-to-plate can be a challenge, especially in a 12X12 box in the Florida sun. 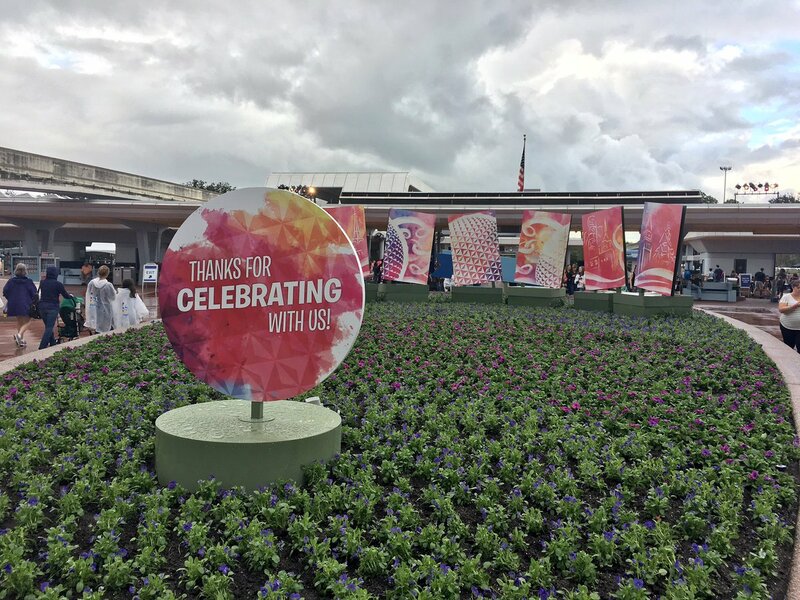 Epcot chefs have been providing quality dishes year after year at the highly successful Food & Wine and Flower & Garden events. The difference here is the focus on artistic design, construction (or deconstruction ) and in some cases almost architectural presentation. I am generally very forgiving of new foodservice ventures, especially in the beginning. Having been through this many times myself, I can empathize. The culinary team appeared to be well versed in the concept, but lacking in speed and urgency. Hopefully they will find their groove. Service aside, I was very impressed with the overall quality of the new menu. Almost everything I tried was good to quite good. There were only a few dishes I would say to avoid. I’ll start with my best bets, in no particular order except for the first two which are not to be missed. Perfectly al dente rice in a creamy mushroom stock. Truffle shavings and shards of Parmigiano Reggiano for garnish. It is difficult enough to produce a quality risotto anywhere, much less an outdoor kitchen. Probably my best in show. Served on a sturdy cardboard “board,” the meats and cheeses were plentiful and artfully arranged. Applewood smoked duck breast is the star. Housemade country paté and dry-cured chorizo were hits too. Gorgeous Stilton cheese with a wedge of fresh honeycomb to finish. Restaurant worthy. Sous vide is a slow cooking “poaching” process that in a very tender product. This venison loin was perfect. Mild flavor, perfect for a wild game novice. Velvety smooth butternut squash puree as a base. Great dish. Pork tenderloin is butterflied and stuffed with a well-seasoned chopped pork filling. Two generous slices are displayed with roasted baby potatoes and sauced with a rich red wine sauce. The finished product is tender and very easy to cut, which comes in handy when you are eating on the first flat surface you can find. (Is there anything more classy than eating off a trash can?) Excellent sauce, very tasty plate. 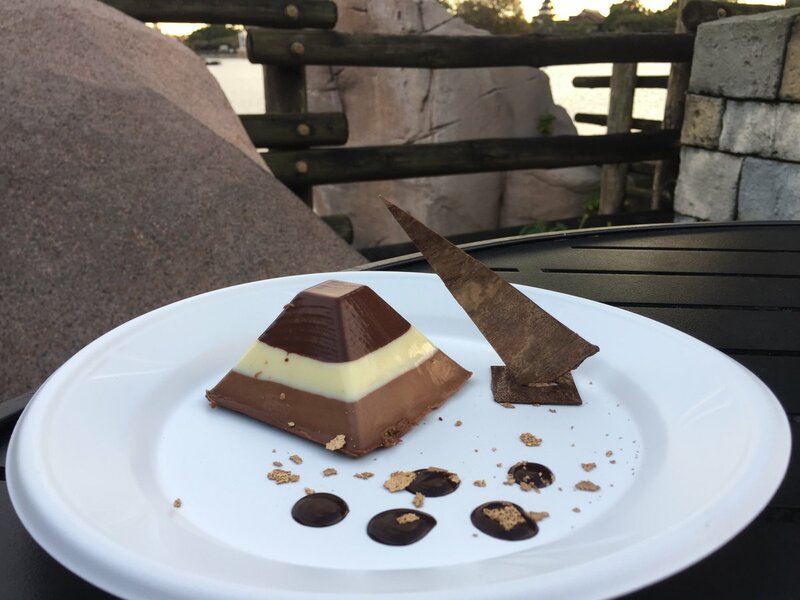 White, milk and dark chocolate mousse layered in a perfectly symmetrical pyramid. Crunchy chocolate base was a little hard to cut, but the mousse made me forget about that. Beautiful and yummy. This multi-colored layered cake will probably stay on the menu for this event in the future, just for the looks alone. Boldly colored layers of super-dense cake, a sweet raspberry filling, and chocolate ganache icing. Everyone in your party will love this. Drinking a warm cup of chocolate is as decadent as it gets. But sipping on a flight of the stuff is better still. White, milk and dark chocolates, all so dense and rich that they barely flowed. No way to drink the whole thing by yourself. Dark was my favorite. Very shareable and very worth it. There were only a few of the savory dishes I would recommend not to try. Some were hard to eat, some just missed the mark altogether. The Flank Steak Guarache at El Artista Hambriento near the Mexico pavilion was served on a large shell which was impossible to cut and very difficult to pick up. Nice flavor, hard to eat. Margherita Flatbread at The Painter’s Palate in the Odyssey is decent, but probably not worth crossing the bridge for. The Classic Reuben at E=AT^2 was a very ambitious deconstruction of the sandwich. Dry and stringy beef and a weird pastry basket make for an odd plate. Skip. This being a new event, I had to learn on-the-fly the best way to navigate the battlefield. The passport offers beautiful photos of the food, but very little help with the location of the studios. Five of the kitchens are on the promenade between Mexico and Canada. One each in Germany and the American Adventure, and one in the Odyssey Center. My usual festival strategy is to begin in the back of World Showcase and make my way forward toward Future World. In this case, I recommend an early start, right at 11. Concentrate on the studios that are bunched together at the front, then make your way to the back as the crowds are building. I am not sure this festival will be as successful as its already established predecessors, but I do think it will draw a different crowd and stand alone. 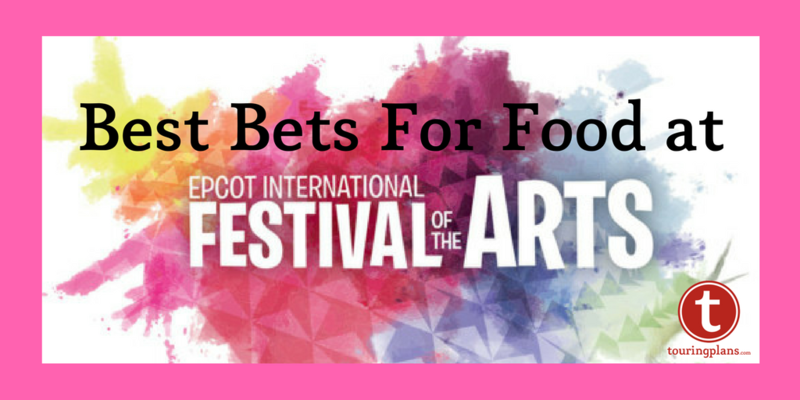 Lots of art for those interested, live entertainment and performance art scattered around the World, and of course, the food. I am not sure there is enough on the menu to make this a food-only destination, but plenty to make a fun couple of days in Epcot. I hope you can use these tips to streamline your next culinary journey. I am looking forward to open day of Flower and Garden (my favorite) in just a handful of weeks. Hope to see you there! Ed. – We had several folks at Festival of the Arts this weekend. Look for more articles this week. Great reviews Todd. I’m hoping this Festival sticks around. Between the food, the artists and art I think it’s a nice addition. Sounds like a pretty good start to a new festival. Makes me sad that I arrive just after it finishes. I am excited to see this review. You have provided both great detail on the food and the logistics of the festival. I hope this festival continues. I really enjoy the idea of a new venue geared to adults. Wonderful review. 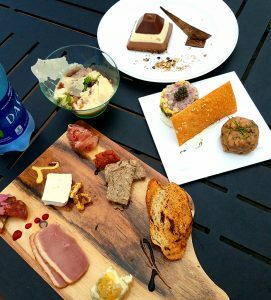 Loved this article and am looking forward to your review of the food at the Flower and Garden Festival, where I’ll be the beginning of May. I’d also love to see more photos, please. So nice to have a chef’s perspective! This is a unique contribution In the crowded field of review blogs out there. Thanks! Nice review ~ will be there soon to check out your “hits”! No other review needed…this is gold!!! Thanks Todd!